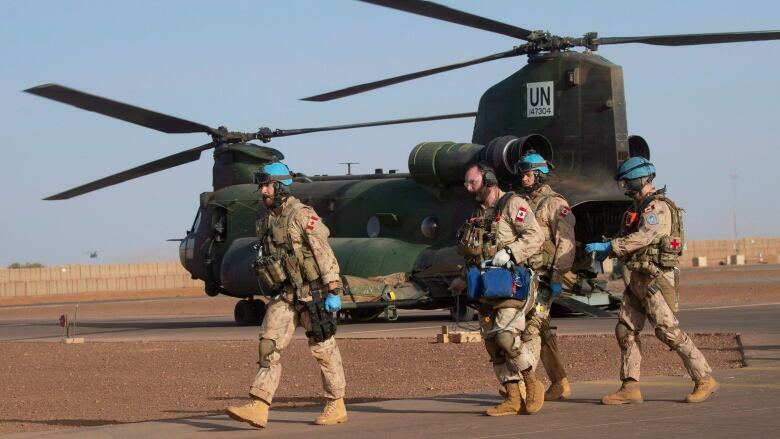 The UN has been leaning on the Trudeau government to extend Canada's one-year deployment in Mali by a few months because a Romanian air detachment, which will take over medical evacuations and peacekeeper movements, won't be operational until mid-October. During the interim period, the UN would be forced to hire civilian contractors, known as "the white fleet," to cover the gap. In the end, the committee's Liberal majority recommended that the government "adhere to the one-year withdrawal deadline," but also noted Canada could be doing more to mitigate the handover. 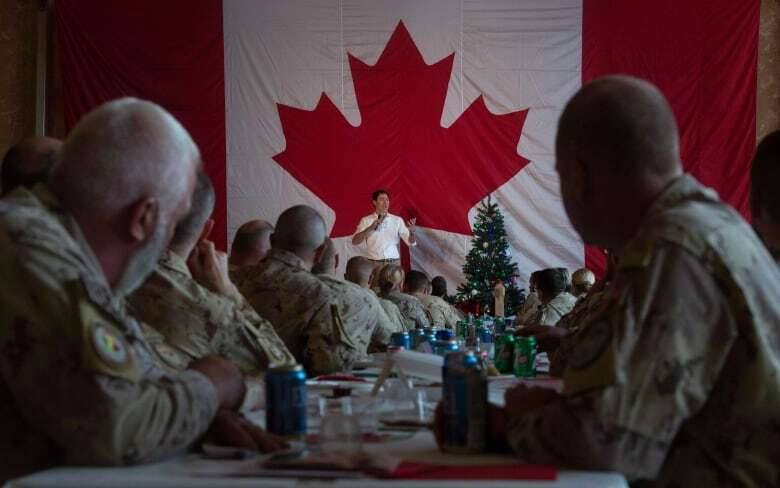 "The committee also heard that the [Canadian Armed Forces] could also use its resources to help the Romanians move some of their personnel and equipment to Mali," said the report, tabled in Parliament. The committee's report offers the first tangible explanation, saying Canada's helicopters need to be brought home on time "to avoid a domestic operational capability gap." "Prolonging the mission would further affect force generation and force employment in Canada," said the committee report. "Extending Canada's mission in Mali would also give rise to other challenges," says the report. "For example, Mali's summer months are extremely hot and humid, which puts a severe strain on both personnel and equipment. The committee also heard that, during the rainy season, the tempo of operation is generally reduced." Sources at the UN told CBC News, in a report published a few weeks ago, that Canada was instrumental in securing Romania's participation in MINUSMA, which has the distinction of being the deadliest UN peacekeeping mission currently active. 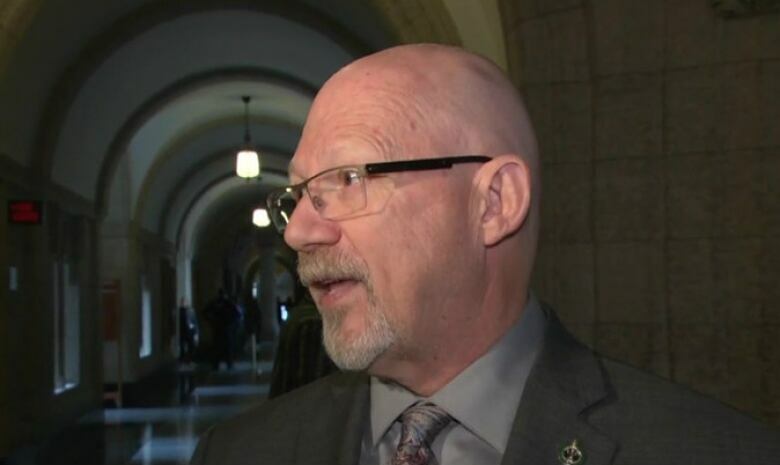 In an interview with CBC News upon the committee's return, Garrison said MPs from all sides heard the explicit UN warnings that the loss of Canada's helicopters, without near-term replacements, would hurt. "It reduces MINUSMA operations and risks lives to have such a big gap," he said. "Everybody was pretty clear — [private contractors] provide less service and they don't go when there is active fire. So it's not quite the same."